It's a pleasure to introduce one of the brightest members of the Windham Hill label, Michael Hedges. 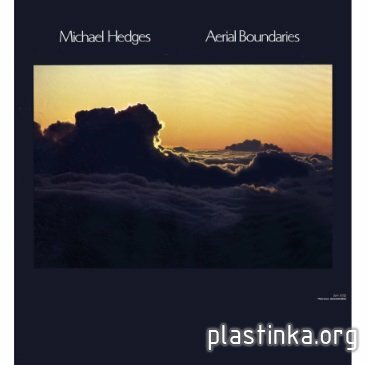 "Aerial Boundaries" is the most important works of this curious guitarist. I say curious about this strange way of playing the guitar, with a good friend called this way of playing as "percussive guitar" (for those strums and blows the lid, and use the guitar like a piano). In a clean technique in implementation, apart from playing a strange guitar called "harp guitar". The album is very even with well-known pieces from his repertoire (the album that should be a fan of Hedges). A few days ago, reviewing Youtube submissions of this guitar player, I found that has a string of clones ... but Hedges, is one. Ah! and on top, is a great singer. Очень высокий показатель у третьего трека DR 20 Пока ни у кого больше не встретил на этом сайте. И отдельно за содержание 5+. Аудиофилам стоит обратить внимание на качество оцифровки. Это реально Адиофильная. И музыкантам на содержание.